How fast are you moving right now? The answer to that question seems easy but is more involved than you think. Aristotle and the Ancient Greeks believed that the Earth was stationary at the center of the Universe and that the Sun, the Moon, the planets all revolved around the Earth. If an object was stopped relative to the surface of the Earth then it was stopped relative to everything else in the Universe. So, if you are sitting in a chair right now and an­swered “zero” to that question, Aristotle would have marked you “correct”. - more than 500 miles per hour relative to someone standing on the North Pole. - more than 66,000 miles per hour relative to the Sun. - more than 500,000 miles per hour relative to the cen­ter of the Milky Way Galaxy. Even if you are reading this while on a treadmill, you might be moving 7 miles per hour relative to the conveyor belt on the machine but 0 miles per hour relative to the floor next to the machine. How are we supposed to an­swer this “easy” question? 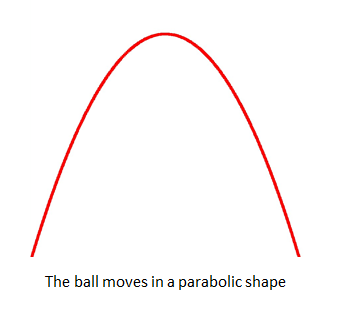 The only way to measure the speed of an object is to measure it relative to something else. If you are riding in a vehicle moving 40 mph then, like the car, you are moving 40 mph relative to the road. Your cell phone is also moving 40 mph rela­tive to the road but zero mph relative to you. 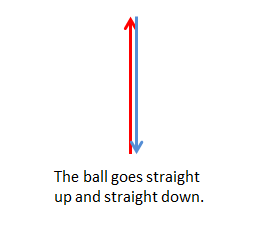 The speed and path of the ball is much different to people in different reference frames. So, “How fast are you moving right now?”. The best way to answer this ques­tion is with another question – “relative to what”?”. This can get obnoxious however so, as you move through this book, unless it is specifically stated otherwise, assume that the basic frame of reference is relative to the surface of the Earth. The dog is moving 1 m/s relative to the camera. The stick is moving 1 m/s relative to the camera. How fast is the dog moving relative to the camera?